Yesterday we kicked off December with a pretty awesome Holiday Party outfit & today we’re kicking off a month of awesome holiday nails with my first festive manicure of the season! I’m a sucker for holiday themed nail art so I can guarantee there will be no shortage of it this month! 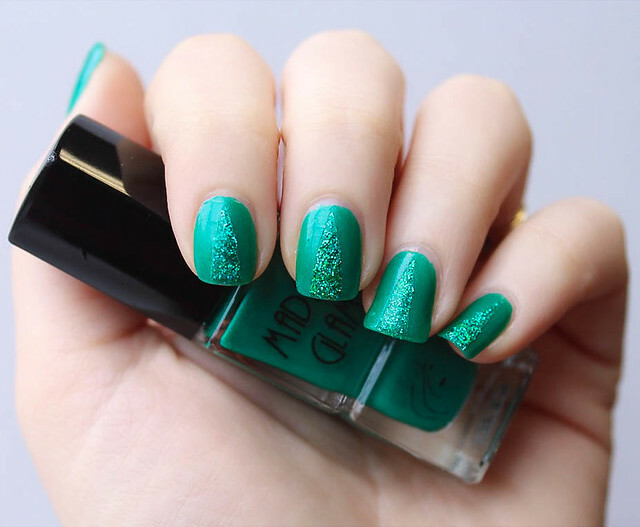 I may be starting off a little tame with this emerald green glitter look, but I have plenty more “out there” manis planned. I didn’t intend for this manicure to look like glittery christmas trees, but once I was done I realized it can definitely pass for them! I should’ve went all out and added a star and decorations to each, but there’s plenty of time for ultra festive looks later in the month! 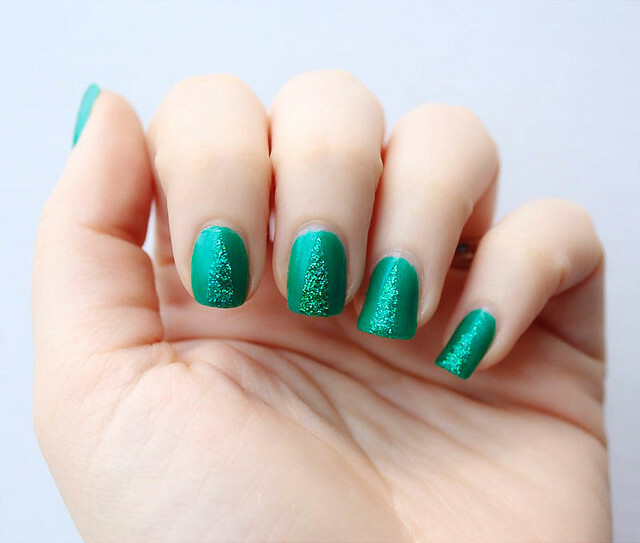 These green glitter “Christmas tree” nails are the perfect design for the first week of December! 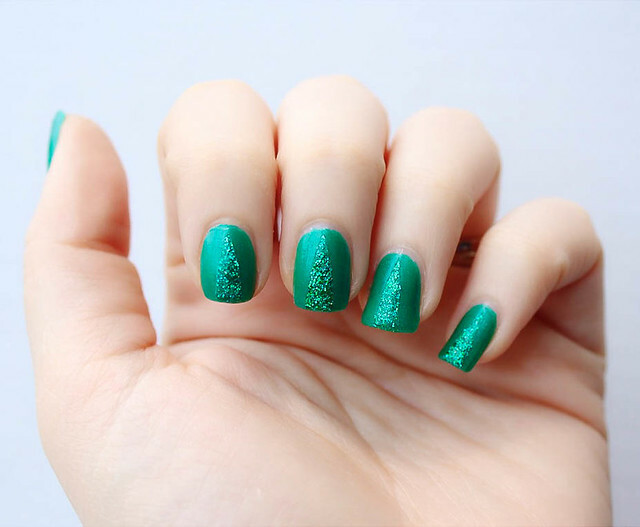 Looking for more Holiday Manicure Ideas? Here are my favorites from over the years!